I've really been getting in the autumn mood pretty much since August turned into September. The fact that we've had the hottest September days in a century didn't put me off buying and wearing jumpers this month! Two new additions to my collection that I love are by Dickins & Jones (which you can buy at House of Fraser). I'd been eyeing them in summer already but it was a tad too warm for it still and when temperatures dipped below 20 degrees Celcius I took the excuse to finally buy them. 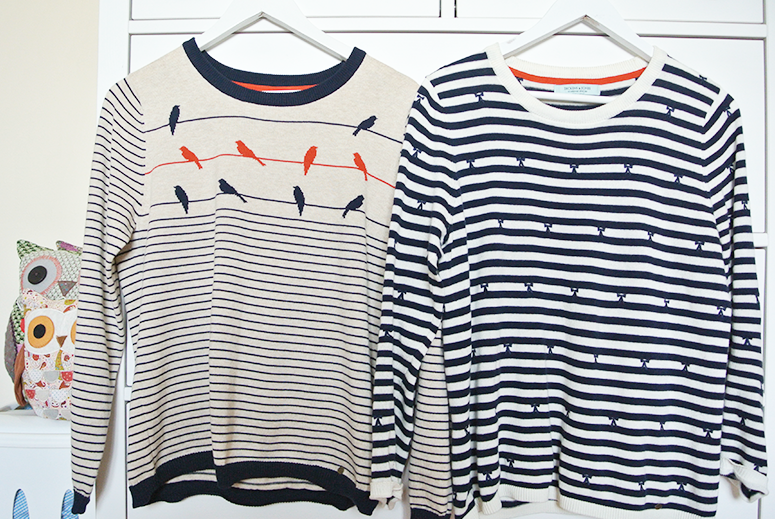 If you want to check them out too, they're the Isabelle Intarsia Bird jumper and the Bobbie Bow & Stripe jumper. Speaking of autumn, I've been burning candles in my room for the past few weeks, scenting the air with cinnamon and all things warming, and one I've been particularly enjoying is Spicy Apple from Glade. I can't find it online but it's very similar to the Cosy Apple & Cinnamon. It's a very affordable candle at just £5, the fragrance pay off is really impressive and it burns for a long time. While I'm planning to stock up on pumpkin scented candles at Bath & Body Works in Canada, I do already have a small collection of Glade candles ready to burn throughout autumn and winter too. 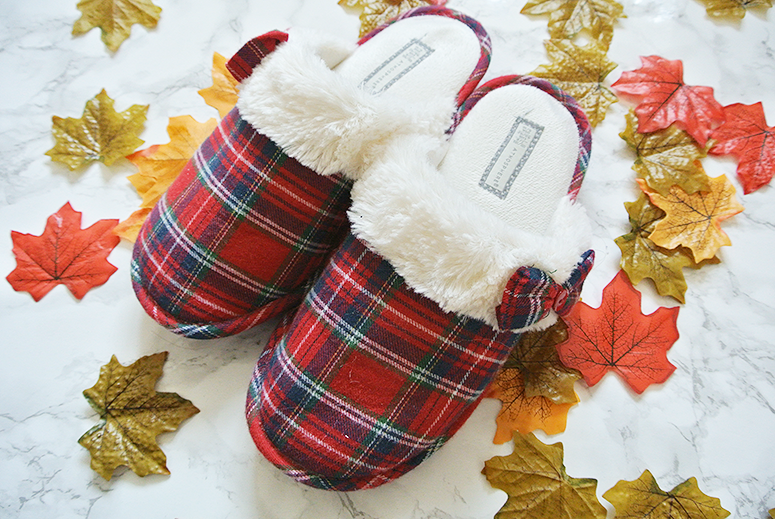 These slippers might just be a tad more winter than autumn, but I absolutely adore them! I haven't really bought much at Primark before (except for a pair of PJs and some pillows) but their home ware is often featured in the videos of the Vloggers I watch and they enticed me back into the shop. 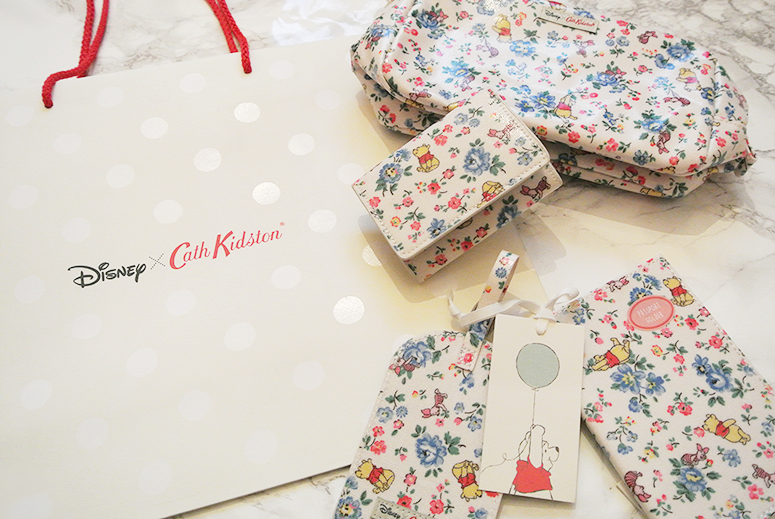 I walked out with a big bag of stuff, including a handy see-through pouch and decanters for travelling with liquids on an airplane, more PJs, a cute mini chalkboard for blog photo decorations, tights, a scented candle (of course), some small travel bits and bobs, and these slippers. I love this style and they're super comfy and soft. For just £4 they're an absolutely steal too and I'm considering getting a second pair to use when my current ones starts showing signs of wear. What do you think, good idea or should I wait to see what other shops bring out this year? If you're in the UK you've undoubtedly seen the drama that is GBBO this year. The production company wanted more money than the BBC could afford and a new channel is taking on the show. But with the presenters and half of the judging panel walking off, and the contract including a one-year break clause, this means not only that we have to wait until 2018 for the show to return but it also won't be the same. At all. So this is the last year I think I'll watch and while I'm not absolutely loving it as much as previous years, Live-tweeting it is a very enjoyable way to spend a Wednesday evening (and one of my Tweets even made it onto Unilad!). Most TV-shows are slowly starting back up again and while I have less time now than I ever did (because of the day job, freelance job, and blogging on the side) I am very excited to reunite with some of my favourites (The Big Bang Theory, The Flash, Supernatural and Brooklyn Nine-Nine, most notably), as well as discovering some new shows (so far I'm interested in The Good Place, MacGyver Emerald City, Powerless, and No Tomorrow). Out of the new shows I've already watched The Good Place and I loved it. It has a Pushing Daisies feel to it and stars Kirsten Bell, who is always awesome. 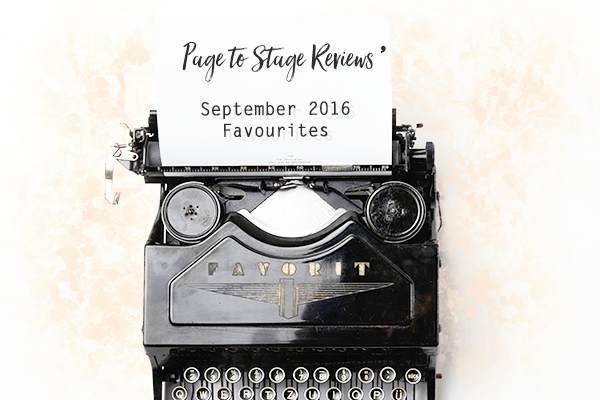 And that's it for my September favourites! What made you happy this past month?